With the soaring cost of Energy, it is time you should consider Re-Roofing your old existing leaking roof. Up-grade the Insulation System Values and start saving valuable profits. Replace or Cover over that old roof with the latest in Retro-Fit design that can actually cost less than repairing the existing leaking roof. A new Framing System covers the building with one of the strongest and most durable material available - STEEL. You will never have to tar over this system every 5 years. One of the greatest detriments to any roof, besides a poor design or improper installation, is expansion and contraction. Your new Retro-Fit System will allow for the roof to freely Expand and Contract, which eliminates any stress damage. 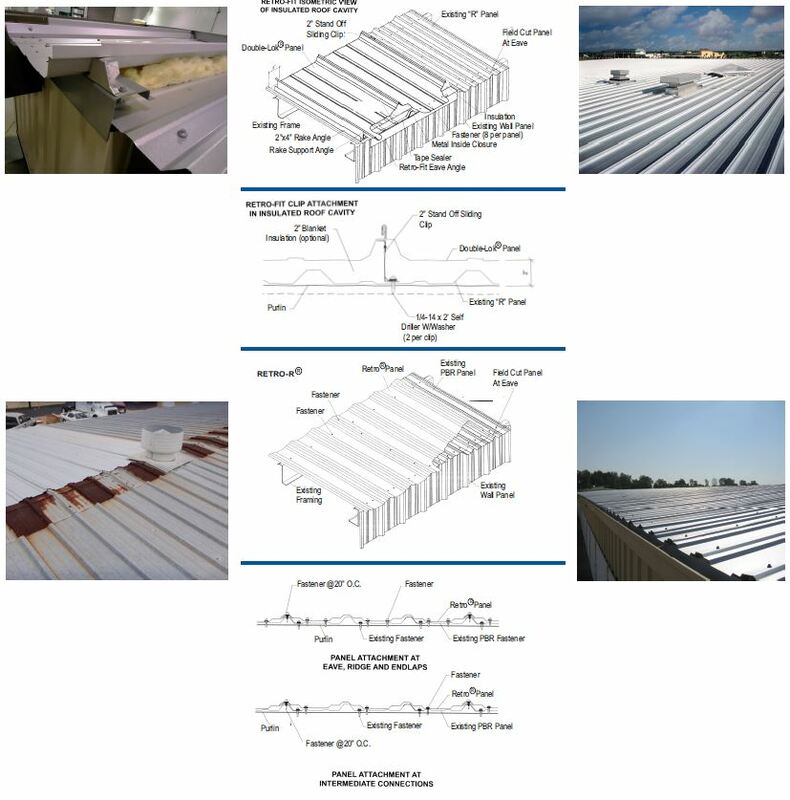 These systems can also provide efficient insulation between the new roof and existing structure, which ultimately translates into a much greater COST SAVINGS. We can provide a fully designed system to can either go over your existing roof panel or be placed on the existing flat built-up roof to create a new roof pitch that will allow your roof to drain properly, while also providing a new functional and architectural pleasing appearance. These light-weight systems also help to reduce the danger of overloading the existing supportive structure. 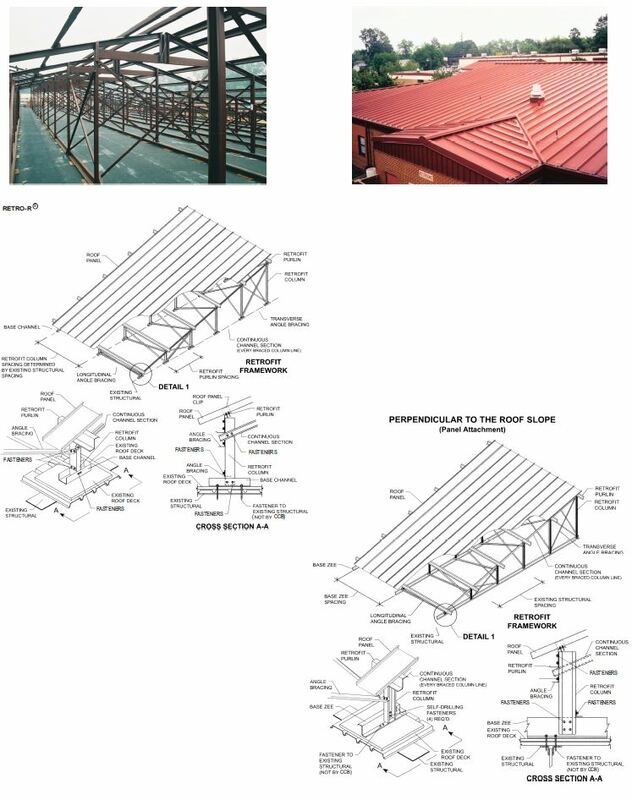 No matter what system you man choose, it is imperative that the existing structure be evaluated by a Registered Professional / Structural Engineer. Contact Custom Components for advise to determine what system is correct for your project. For additional reroof information please contact our offices.